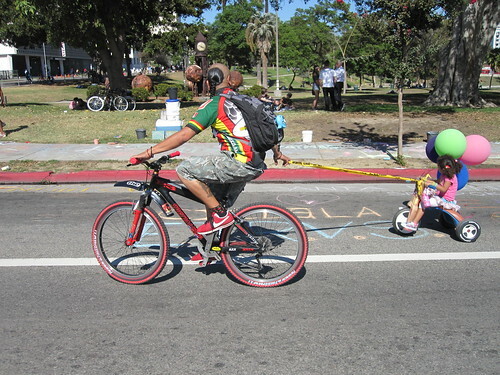 Want to ride to CicLAvia from NELA in safety and peace? Us too! We’re doing a bike caravan from our shop to the CicLAvia route at Placita Olvera in Downtown. Join us and be a part of the rolling party. 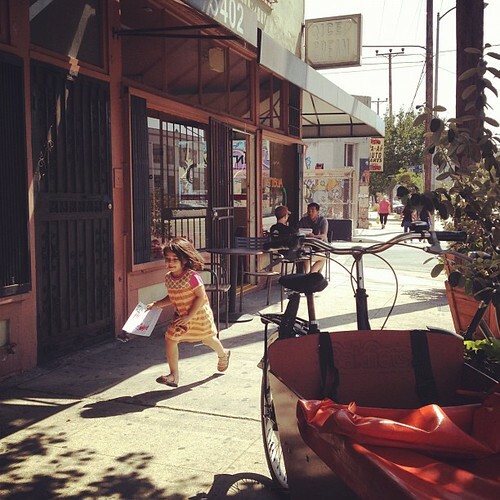 Meet at the Flying Pigeon LA bike shop (3404 N. Figueroa St., Los Angeles, CA 90065) on Sunday, April 21, 2013 at 9:30 a.m. We’re rolling at 9:45 a.m. with a small fleet of decorated mama and papa cargo bikes with attendant supply chain bikes, kids, and kid wranglers. This is a nice place to meet before and after to grab something to eat or drink from Antigua Cultural Coffee House. p.s. Sadly, we will not be renting any bikes this CicLAvia. Sorry for the inconvenience! NO BIKE RENTALS THIS TIME.